Standing on the hotel balcony looking across gently sloping lawns to the lake, the only sound the gentle splash of a fountain, it was difficult to imagine we were just a short distance from Sheffield city centre. Kenwood Hall in Nether Edge feels a million miles away from the crowds and traffic. This tranquil oasis was once home to esteemed cutlery maker George Wostenholm, who bought land in Nether Edge in the mid-19th century and had it laid out to look like parts of New York state. He made frequent business trips to America and turned down the role of Master Cutler three times because of these commitments, before finally accepting in 1856. Kenwood Hall is now a Best Western hotel with a spa, a modern building accompanying the original family home. A spacious lobby with sweeping staircase and jewel coloured chairs greets guests. We were on a one-night spa break and our double room had a super king size bed, a good selection of drinks and biscuits, and a well-stocked bathroom. There was a nod to the hall’s history with a picture of cutlery designs on the wall. The balcony was an added bonus, although the table was rusty and one of the wicker chairs had a hole in the seat. Robes and slippers for the spa were in the wardrobe so we headed off to be pampered. We had the hydromemory facial, which is a deep hydrating treatment to replace moisture. It was just what my skin needed in this scorching summer and the experience was so relaxing I fell asleep at one point. When I’ve had facials previously, my skin has been examined first and I’ve been given advice on how to care for it, which didn’t happen here although we were asked what our skin types were. I read in the brochure afterwards that there is a relaxation room to use straight after treatment but we weren’t told about this so went back to our room. We had a table right by the window for our three-course evening meal in the appropriately-named Lake View restaurant. The menu had plenty of variety but after selecting the steak from the specials the waitress returned to say there were none left, which was surprising because it was only 8pm. The food was good though and portion sizes were large. I can recommend the plum, pear and ginger crumble with cinnamon ice cream, which was delicious. The spa beckoned the next morning, after a self-service breakfast which had a good selection of options, from full English to croissants. The spa receptionist was welcoming but there was no tour of the facilities – as mentioned in the brochure – and we were just directed to the changing rooms and swimming pool. When we saw towels hadn’t been provided we had to return to reception to ask for some. There was no toilet paper in one of the cubicles and no paper cups in the water cooler next to the swimming pool, which was disappointing because it meant another return to reception for this to be remedied. Next to the pool is a Jacuzzi, with a steam room and sauna to one side. There is also a fitness suite but we didn’t use that. The steam room was good, with soft coloured lighting to add to the mood, which we followed with a blast in the Jacuzzi and then the pool, which is in a glass house giving views of the gardens. The sauna was tiny and we had to squeeze in past another guest who was sitting on the floor. After another dip in the pool we took advantage of the glorious sunshine and grabbed a couple of plastic sun loungers to indulge in some sunbathing to dry off. The loungers were stacked up outside and as we were lugging them into position it occurred to me that it would have been nice if these had already been set out ready for guests to use, as they are in hotels abroad. Kenwood Hall has some activities available during the summer and there were people having a go at archery when we decided to take a stroll round the lake. Unfortunately the footpath was broken up and uneven in places, some of the hedges were overgrown, and there were fence posts lying on the ground, which was a shame considering what a great asset these gardens are. As we left the hotel there was an empty beer bottle on a wall by the door and litter on the red-carpeted steps. Kenwood Hall is a beautiful location and staff were polite but, like one of Mr Wostenholm’s pieces of cutlery, it feels like it needs a polish to truly shine. 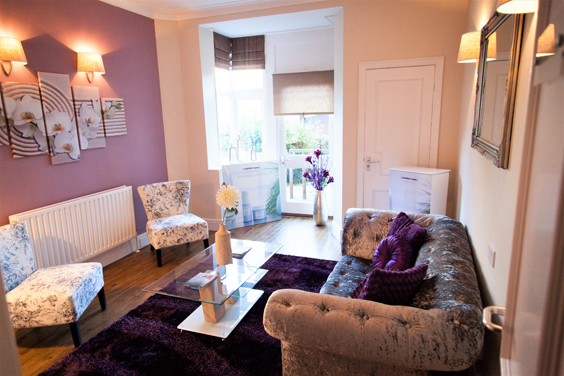 Room rates from: £65 per room/night. 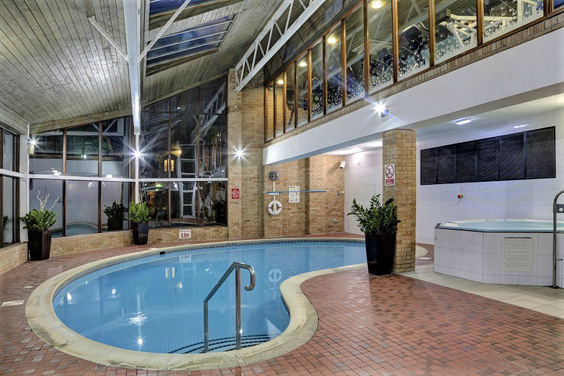 1-Night Spa Break: from £89.00 DBBpp with 25 min spa treatment, use of the leisure facilities & pool. Price based on 2 people sharing a double/twin room.